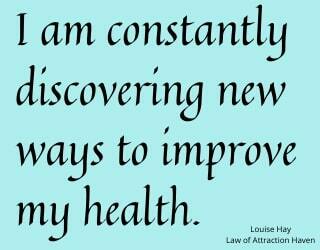 Here you will find 4 Louise Hay Affirmations on Weight Loss and 10 on Health and Healing. 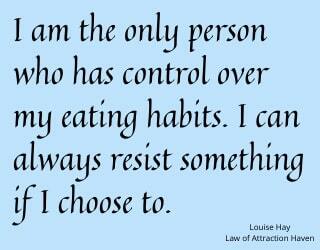 I am the only person who has control over my eating habits. I can always resist something if I choose to. It does not matter what other people say or do. 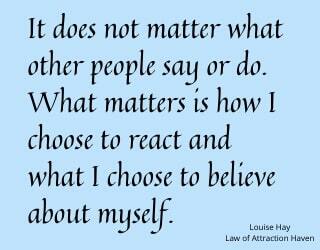 What matters is how I choose to react and what I choose to believe about myself. 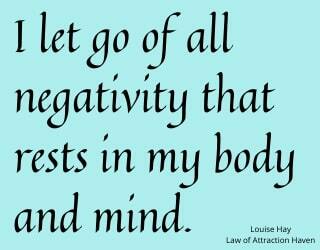 I let go of all negativity that rests in my body and mind. 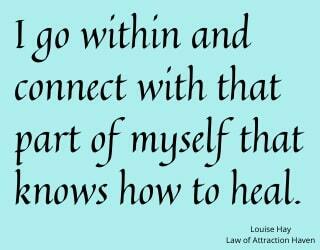 Louise has designed this recording with self-healing and health maintenance in mind. 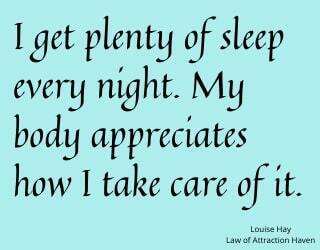 Louise believes that it doesn't matter what your disease is. 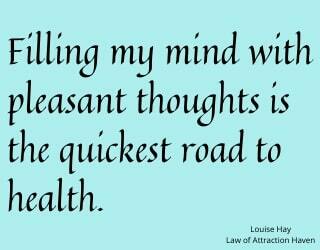 She says if you choose to work with the ideas in this recording your health is sure to improve. This video on assisting in your own healing runs for approximately 1 hour and 20 minutes. 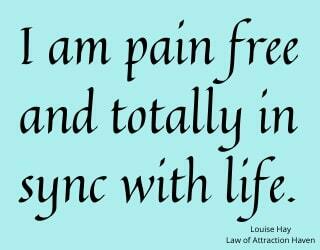 In the final chapter of You Can Heal Your Life Louise has a list of ailments. Probable Cause: Running from the self. Fear. Not knowing how to love the self. New Thought Pattern: I now discover how wonderful I am. I choose to love and enjoy myself. Probable Cause: Longstanding emotional problem not solved. New Thought Pattern: I joyously release the past. I am at peace. Probable Cause: Represents protection. Oversensitivity. New Thought Pattern: I am protected by Divine Love. I am always safe and secure. 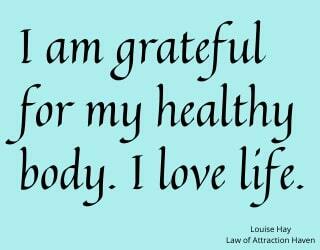 This health affirmation can be offered as a prayer. 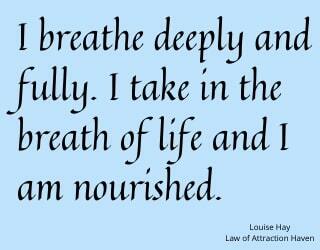 It is excerpted from "The Body" chapter in Louise's book. 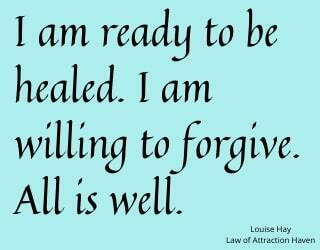 Click to view these affirmations without images. 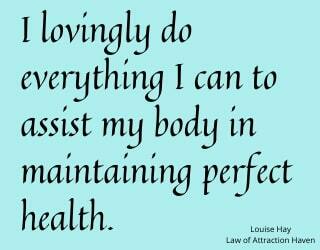 Are you wondering what affirmations are, how to use these Louise Hay Affirmations, or how to write your own affirmations? 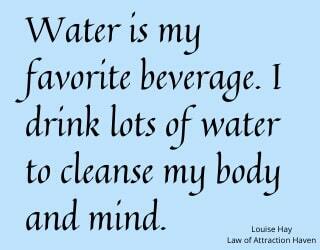 Click here for more health affirmations by Catherine Ponder. 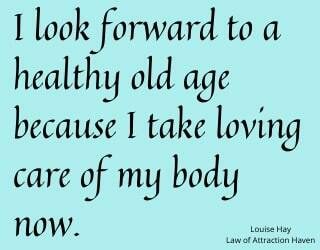 Click here for more health affirmations by Florence Scovel Shinn. Check out our Free PDF Books as many of them discuss health and healing. Also link to our free Health and Fitness books.